The best small press comics reviews. 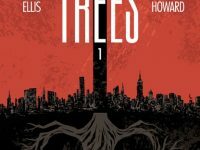 This weekends must read digital comics in the Sunday Digest include Warren Ellis’ new eco apocalypse series Trees from Image Comics, Ian Edginton and INJ Culbard’s clock punk fairytale Brass Sun from 2000 AD and the latest instalment of slacker superhero series Knuckleheads from MonkeyBrain Comics. 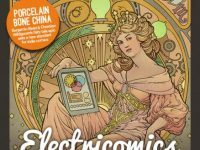 Sunday Digest 13/4/14 – this weekend’s must read digital comics include Amazing Spider-man Infinite, Archer Coe and Needles and Dust. 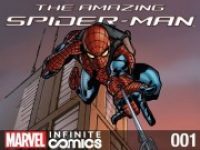 This weekend’s must-read digital comics include: Marvel’s latest cinematic movie prequel in Amazing Spider-man Infinite; Archer Coe and the Thousand Natural Shocks, a hypnotic new indie series from Oni Press; and Needles and Dust an Israeli digital graphic novel app from Tsach Weinberg. 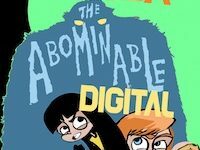 This weekend’s must-read digital comics feature some nightmare inducing horror from Cullen Bunn and Monkeybrain Comics, plus an all-ages Saturday morning cartoon inspired indie in the shape of Alex The Abominable from Jack Davies and Jacob Boniface. Plus a tribute to a comedy legend who is with us no more in IDW’s Ghostbusters. 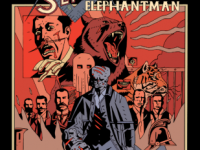 This week’s must-read digital comics include the final chapter in the first story arc of Valiant’s epic Unity crossover, a spiritual and existential science fiction omnibus in Doug Rushkoff’s Testament and a reimagining of a Victorian curiosity in Merrick The Sensational Elephantman. 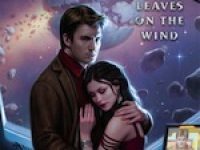 This weekend’s must-read digital comics include Dark Horse Comics’ latest resurrection of a Joss Whedon TV series in Serenity: Leaves on the Wind #1, more action from the runner up in our digital comic of the year poll Molly Danger and an indie spirited ‘weird west’ anthology called Tall Tales from the Badlands #3. 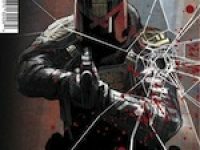 This week’s must-read digital comics in the Sunday Digest features a new instalment of our Digital Comic of the Year 2013 runner-up, Captain Stone is Missing from Madefire, the half way point in a epic climb to the summit of High Crimes #6 and a new UK anthology that is 100% Biodegradable!